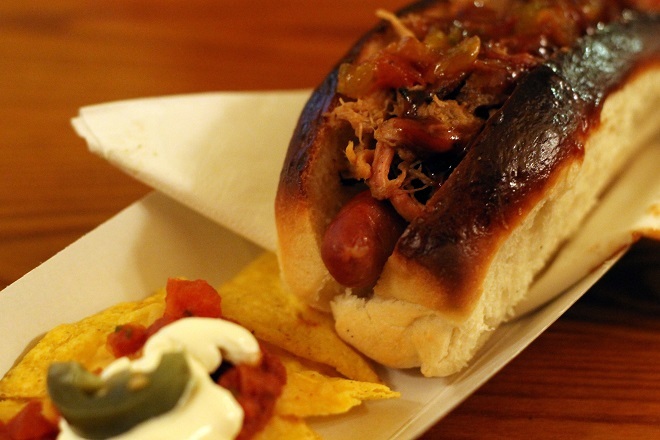 Hang Fire Smokehouse have been one of the breakout success stories of the Welsh food scene. Founded by Sam Evans and Shauna Guinn, it has gone from a weekend pop-up at a backstreet Cardiff pub, to street food darling. I first interviewed them in June last year, just as Hang Fire had begun to take off. Wherever my blogging travels would take me, I’d always meet someone who was dying to recommend Hang Fire. It’s not just the blogging world that they quickly became the darlings of; the diners of Cardiff couldn't wait to tuck into their smoky BBQ delights, and consequently, Hang Fire expanded their run at The Canadian and also spent the summer serving at Porters, before moving on to The Lansdowne. In true Hang Fire style, they made sure that they incorporated local producers into their menu. Everyone from dessert guru Inner City Pickle, Pontcanna-based One Mile Bakery and Charcutier Ltd has been showcased through Hang Fire. It’s this passion for all things local that has helped make Hang Fire so successful. I caught up with Sam to find out what is in store for 2014. Since the last interview, you've grown Hang Fire rather gradually. Porters and Smoke Dawgs proved to be big successes. What did you take away from each of them? "Luckily, our BBQ has been a little less of a gradual build than we anticipated. 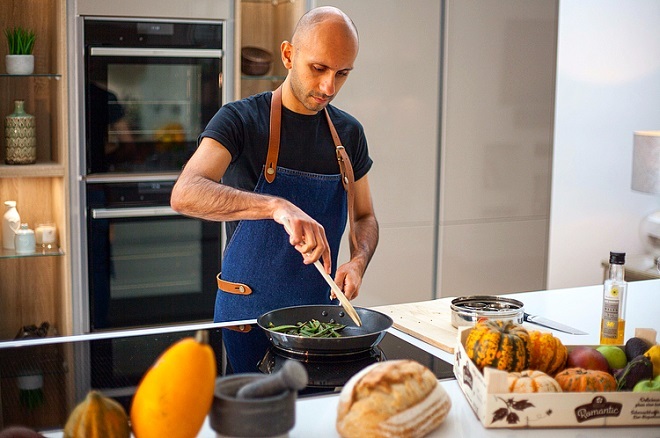 The support from everyone has been overwhelming, from diners to bloggers. We guess the main thing we've learnt is that pairing our food with the right venue is key. We try to 'curate' and eating experience and love working with venues that share that idea with us. Its not just a plate of unpretentious food. Its sharing the history and our experiences of BBQ, its creating an informal, friendly vibe paired with the right music, that makes a dining experience memorable - and one that people will want to hopefully, experience again." You've expanded your relationships with local food producers like Charcutier Ltd. How important are these relationships going forward? "Overall, we think its important to showcase artisan producers in this country. We're so fortunate to have so many. There are a lot of hard-working people out there that have staked everything to do what they love. 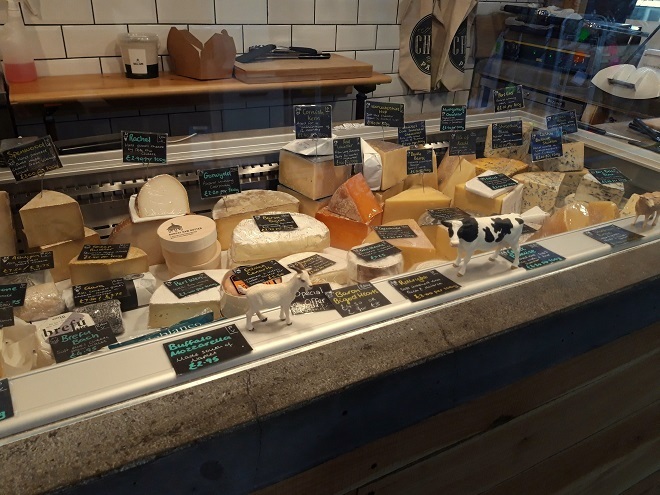 We're also fortunate that the likes of Charcutier Ltd, Inner City Pickle and One Mile Bakery have been keen supporters and suppliers of ours from the beginning and continue to provide us with their amazing produce." "Well, we have a few things going on. We have a brand new Thursday/Friday pop-up planned from February. We're also partnering with Celt Brewery and will be launching an exciting new venture for them in February too. There'll be a lot more events with our favourite music venue, the beloved, Full Moon. Plus we'll be doing some big stuff with our lovely partner charity the SAFE Foundation. We have some weddings booked and if we've time, we may even squeeze in a few festivals too." "We're looking forward to a fun 2014. Hope ya'll are hungry for some more bar-be-cue!" From February Hang Fire Smokehouse will be at The Landsdowne in Canton, Cardiff every Thursday and Friday from 5.30 - 9pm (or until sold out). For more information check out the website here. © 2019 Lauren Mahoney. All rights reserved. Contents subject to copyright unless otherwise stated. 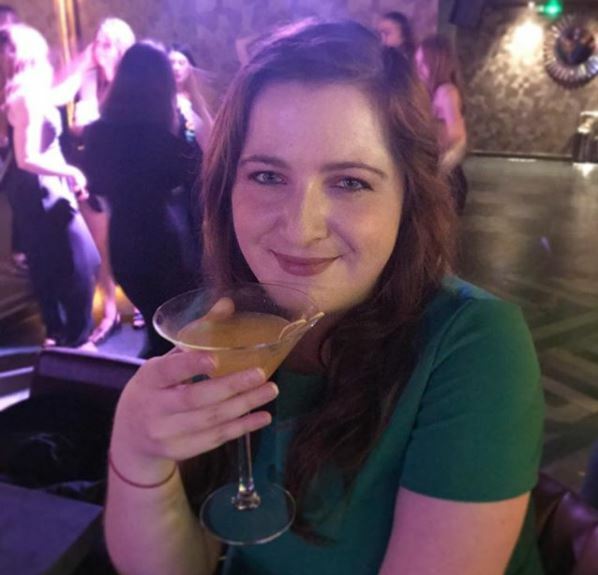 I'm Lauren and I'm a Cardiff-based food blogger. I mostly blog about Cardiff and occasionally other places. Welcome!